Marston Gate Station after the passenger service finished. This is a well produced book describing the first purpose built branch line, opening in 1839 to connect with the London to Birmingham railway, which opened in 1837. 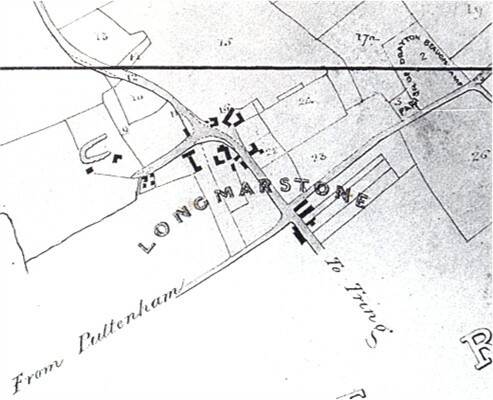 The line cut through part of the rural part of Tring parish, to the north of Long Marston. 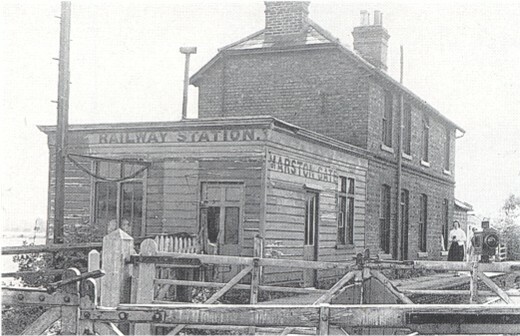 A station was opened at Marston Gate in about 1863 and the line finally closed a hundred years later. The book is of particular interest to me because my great great grandfather, John Gibbs of Aylesbury, was one of the original investors who financed the building of the line. The individuality of this branch line lies in its origins - few railways carry on their documents of Royal Assent the cypher of King William IV. Although not originally intended to be a branch line, in reality that is what it became, as it never extended beyond the Buckinghamshire town of Aylesbury. It can therefore claim to be the first of the breed, opening in 1839. The line lect the 'Premier' London & Birmingham Railway at Cheddington and soon proved profitable for its promoters. 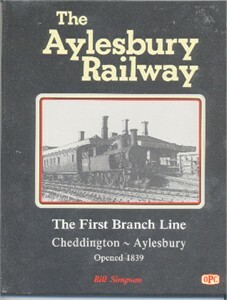 Under the subsequent ownership of the London and North Western Railway, the line enjoyed a monopoly of Aylesbury's railway services for 25 years. A full historical survey is included, up to the line's protracted closure.